While many licensed producers (LPs) in Canada are scaling up their cannabis production to meet shortages, others are taking a more cautious approach. John Fowler, CEO of Supreme Cannabis Company, said that cannabis’ illegal history may have contributed to the fact that it grows best in tucked away indoor nooks. Jonathan Page, chief science officer at Aurora, agrees, saying that today’s most available plants have been genetically altered over the years to favour smaller spaces. “That doesn’t necessarily mean that those plants are unable to grow elsewhere. 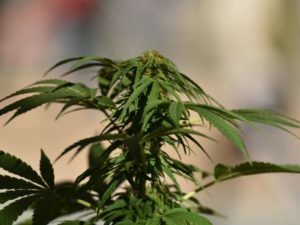 It just means that the genetics that are available in cannabis plants currently are definitely able to thrive in smaller, indoor grow spaces,” Page said. There are other issues including pests and disease. Spider mites, for example, eat cannabis roots. Although that’s not too much of a problem at the moment, Page said, it might be similar to packing people together during flu season – the more plants you have crammed together, the faster pests will travel. Besides, pests are nothing new to farmers. “Pests and pathogens are a problem in all agriculture. But the particular pathogens that attack the modern cannabis plants, they’re just not equipped, at this stage to fight back against,” Page said. Tom Flow, CEO of The Flowr Corporation, said that the problem is intensified by the fact that LPs can’t use pesticides because of the risk to humans inhaling the dried product. For these and other reason, scaling up production becomes a problem. Flow doubts it’s even possible to maintain quality and consistency in a large grow space. “I would say getting a large-scale greenhouse to produce premium, high-end flower is almost impossible, or not possible at all,” he said. I would like to know the industry’s thoughts on an outdoor grow-op and quality control for outdoors. Does anyone know what kinds of insects, fungi or moulds could possibly attack an outdoor cannabis crop? I believe the “quality control” issues have more to do with the potency and consistency of the cannabis rather than environmental threats to it including insects, mould, etc. Those are certainly an issue as they are in all agriculture. What complicates it for cannabis production is that (a) cannabis grown indoors is different from cannbis grown outdoors (and as this article suggests, many strains may have been naturally selected to grow better indoors) and (b) there are additional costs to securing the cannabis crops from theft, as required of all licensed producers. If anyone else has thoughts on this, feel free to post. Thank you for your response! Has anyone, within this forum, attempted an outdoor grow-op with any strains that have not been genetically modified? If the answer is yes, despite the additional costs involved, what has been the end result and which strains were chosen for an outdoor grow? What were the pros and cons? I’ve been unable to login to my account for some reason but I’m very happy that I can still post and then read responses! Looking forward to some more helpful input! I’m not aware of anyone on this forum who has — but hopefully someone will chime in!